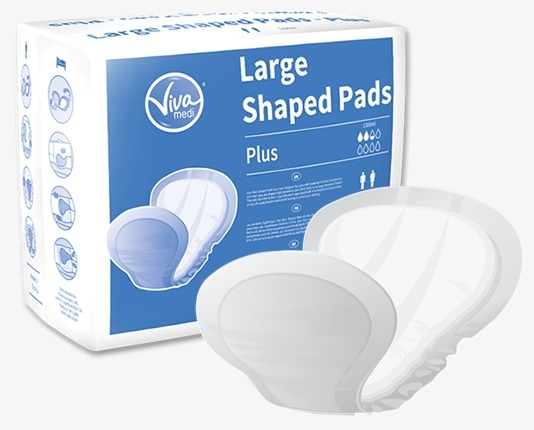 Our Viva Medi Large Shaped Pads are unisex incontinence pads designed for users with moderate to heavy incontinence. The pads are anatomically shaped and are best worn with stretch pants to ensure the user feels comfortable and secure. The highly absorbent core retains large amounts of liquid, whilst the hydrophobic cuffs reduce the risk of leakages and the waterproof polyethylene backing protects clothing.